Case History: Baby Kanishka Ganpat Gholap is 4 months old baby girl suffering from congenital acyanotic heart disease with large muscular ventricular septal defect and large artial septal defect and she had to undergo VSD as early as possible. She was always falling sick and she was becoming very weak. Her parents were worried and were treating her with the local doctor in Pune. Doctors informed them that Baby Kanishka Ganpat Gholap has to undergo VSD (Ventricular Septal Defect (VSD) is a heart malformation present at birth. A VSD, therefore, is a type of Congenital Heart Disease (CHD). The heart with a VSD has a hole in the wall (the septum) between its two lower chambers (the ventricles). Due to their financial condition they could not operate this 4 months old baby girl. Her health started deteriorating and they took her to SevenHills Hospital. Doctors in SevenHills Hospital informed them that she requires an early total correction of the heart soon as her condition is deteriorating day by day and she is very weak. Family Background: Her father works as a farmer in Pune. He earns only Rs. 3000/- per month. Since, his entire family and parents are dependent on him, he naturally is not in a position to bear the cost of the treatment of Baby Kanishka Ganpat Gholap for her urgent open heart surgery. Thanks to the timely intervention of Abhilasha Foundation and she was financially supported for her treatment in SevenHills Hospital. Case History: Baby Rohini S Jirage 6 years and 2 months old baby girl and needed to undergo Intracardiac Repair of VSD (Ventricular Septal Defect (VSD) closure with Infundibular Resection for an open heart surgery of Tetralogy of Fallot. 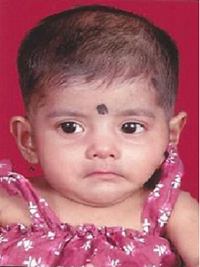 Doctors at SevenHills Hospital informed them that Baby Rohini S Jirage is suffering from VSD. Due to their financial condition they could not operate this baby girl. 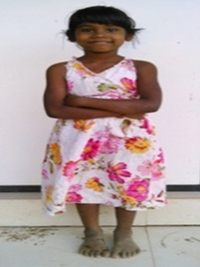 Doctors at SevenHills Hospital informed them that she required urgently an open heart surgery. Family Background: Her father and mother worked as farmers in Solapur. He earned only Rs. 1750/- per month. Since, his entire family and parents were dependent on him, he naturally was not in a position to bear the cost of the surgery and treatment of their daughter Baby Rohini S Jirage. 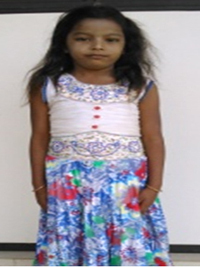 Thanks to the timely intervention of Abhilasha Foundation and she was financially supported for her surgery and treatment in SevenHills Hospital. 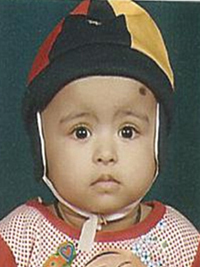 Case History: Baby Anya Pavan Rai is 8 months old baby girl and needed early elective correction of the heart and she was always falling sick. Her parents were worried and were treating her with the local doctor in Mumbai. Baby Anya Rai was conceived after 18 years of their marriage and she is an angel of her parents. Doctors informed them that Baby Anya Rai is suffering from VSD (Ventricular Septal Defect (VSD) is a heart malformation present at birth. A VSD, therefore, is a type of Congenital Heart Disease (CHD). The heart with a VSD has a hole in the wall (the septum) between its two lower chambers (the ventricles). Due to their financial condition they could not operate this baby girl. Her health started deteriorating and they took her to SevenHills Hospital. Hence, doctors in SevenHills Hospital informed them that she required an early total correction of the heart soon. Family Background: Her father works as delivery man in one of the pharmaceutical company. Her father came to Mumbai for their livelihood and has been working in Mumbai and her mother is a house wife. He earns only Rs. 6000/- per month. Since, his entire family and parents are dependent on him, he naturally is not in a position to bear the cost of the treatment of Baby Anya Pavan Rai. Thanks to the timely intervention of Abhilasha Foundation and she was financially supported for her treatment in SevenHills Hospital. 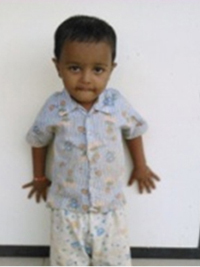 Case History: Baby Tisha Rajesh Fulsunge was suffering from Yolk Sac Tumor in the Stomach (The yolk sac is a membranous sack that lies underneath a developing egg. The yolk sac is involved in transporting nutrients to the developing embryo before it attaches to the placenta). As there was a huge line of patients in TATA Memorial Hospital they told her to wait for sometime but her condition was deteriorating day by day and she was withering in pain. Hence, her neighbors suggested her to take her to P D Hinduja National Hospital & Medical Research Centre. The doctors at P D Hinduja National Hospital & Medical Research Centre advised her to go for chemotherapy and surgery. Family Background: Her father was an auto rickshaw driver at Ulhasnagar and he died due to alcoholism. Her mother is a domestic servant and she has two elder sisters who are studying in 9 and 10th std. Hence, her mother was not in a position to bear the cost of her daughter’s treatment and they were searching for donors who can support Baby Tisha Rajesh Fulsunge for her treatment. Thanks to the timely intervention of Abhilasha Foundation and she was financially supported for her treatment in P D Hinduja National Hospital & Medical Research Center. Case History: Master Prakash Chandeshwar Paswan who was suffering from Congenital Heart Defect and required an Early Total Correction of the heart. Due to the congenital heart defect his nails, tongue had started turning blue. Hence, he required an early total correction of the heart. Family Background: His father is a Gardner and working in a society in Mira Road and has 4 children. The elder son is not going to school and the second son is studying in 5th standard and other two children are studying in Aanganwadi in Bihar. His father came to Mumbai for their livelihood and has been working as a gardener in a society and his mother stays in Bihar and she is a house wife. He earns only Rs. 4800/- . Since, his entire family and parents are dependent on him, he naturally is not in a position to bear the cost of the treatment of his son. Thanks to the timely intervention of Abhilasha Foundation and he was financially supported for his treatment in SevenHills Hospital, Mumbai. Case History: Master Omkar B Matunge who was suffering from APlastic Anaemia (Blood Cancer). Doctors advised him to go for ‘Allergenic Bone Marrow Transplantation’ at P D Hinduja National Hospital & Medical Research Centre. Day by the day his immune system got weaker and weaker and he frequently fell sick, causing excessive weakness in his frail body. Family Background: His father is a daily wager and earns only Rs. 3000/- per month. They are hailing from Kolhapur and his mother is a house wife. He has four sisters. His father economic condition was very poor and did not have money for Omkar’s treatment. The cost of the treatment require huge amount. He is a daily wager and has to take care of the whole family. Hence, he was searching for a donor who can financially support Master Omkar B Matunge’s treatment. 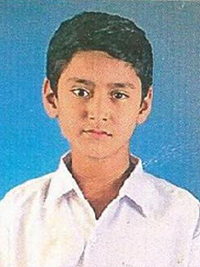 Thanks to the timely intervention of Abhilasha Foundation and he was financially supported for his treatment in P.D. Hinduja National Hospital & Medical Research Center. Aakash Vijay Pawar who is 6 years old and now studying in 1st Standard staying in Gorai III slum for the 10 years. When he was 5 days old his mother had Tuberculosis hence could not feed him. Her husband left when he came to know about this disease. Aakash was given cow’s milk due to his mother’s TB treatment and he was brought up by his grand parents. His grandfather is working as a sweeper in a society and in the meantime his grand mother also passed away as she was also infected with TB. By this time Aakash’s father left and married another lady. Aakash’s mother got cured and she re-married but left Aakash with his grandfather. After the intervention of Abhilasha Foundation and its team it was found that he had not gone to the school for the last 6 months and he used to wander here and there seen always alone. Abhilasha Foundation started a non-formal school in their slum so that these children can learn and can be groomed and brought into the main stream of the society. 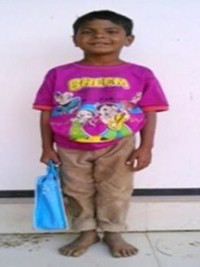 Now Aakash goes to the school and enjoys studying in Balwadi and Day Care Centre. He wants to become a Police Office when he become big. Kindly support Aakash Vijay Pawar to become a Police Officer. Rama Sanjay Pawar She is 9 years old and both her parents are rag pickers and staying in Gorai III slum for the last 11 years. A very cheerful girl always smiling and ready to learn whatever is taught. She is very intelligent and grasp very fast. She has two sisters and all of them are very good in studies. She is the first one to come to the Bal Wadi. Earlier she did not like to study but after the intervention of Abhilasha Foundation she started to study. She wants to become a Doctor and treat the poor people who cannot afford to treat themselves. Kindly support Rama Sanjay Pawar to become a Doctor. 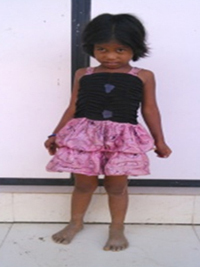 Saloni Sanjay Paswan She is 5 years old and she does not go to school. She is the first generation school goers she has never held a pencil. They have been staying in Gorai III for the last 3 years and hail from Uttar Pradesh. Her father is a labourer and an alcoholic and her mother is a domestic servant and both of them earn around Rs. 3000/- per month. Saloni cannot see from one eye. She has one younger sister and one elder brother. Her parents never sent her and her younger sister to school but they send their son to the school. After the intervention of Abhilasha Foundation Team spoke to the mother and she promised that she will admit Saloni and her sister in one of the municipal school which is nearby in the next academic session. Now she knows English poems, numerical numbers etc. She wants to become a Teacher and teach small children. Kindly support Saloni Sanjay Paswan to become a Teacher. 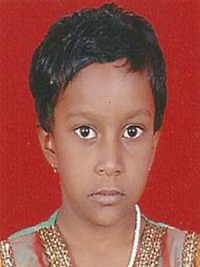 Susheela Vishwakarma Chandra She is 7 years old and she has two younger brothers. She is studying in 2nd standard and a first generation school goers from her family and staying in Gorai III for the last 3 years. Her father is a watch man in one of the society and mother is a domestic servant and earns around Rs. 4500/- per month. They hail from Nepal and due to poverty and ignorance they migrated to Mumbai for their livelihood. Her parents neglect her because she is a girl child. She has to wash vessels and help her mother for washing vessels. Sometimes her mother does not send Susheela to school regularly so that Susheela can help her in the daily chores of her house. 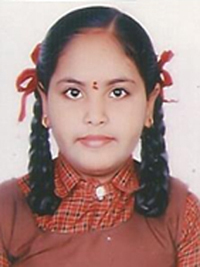 After the intervention of Abhilasha Foundation she started sending her to school regularly. It was very difficult for her when asked what she wants to become when she grows up. With great difficulty she replied ‘Mujhe Police Officer banna hai’ She wants to become a Police Officer when she grows up. Kindly support Susheela Vishwakarma Chandra to become a Police Officer. 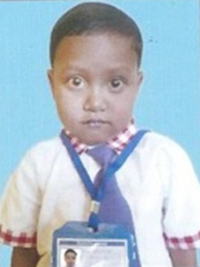 Aryan Pramod Pawar: He is 3 1/2 years old studying in nursery and studying in English medium. Aryan’s father died in a road accident before he was born. A young mother without any support from in-laws it was very difficult for her to take care of him. Now, Aryan is staying with his grandmother and she takes care of him. Aryan’s mother is working in Angan Wadi and earns around Rs.2,000/- per month. His mother wanted him to be become an Engineer as he is always playing with toy cars but Aryan wanted to become a Hero. He loves to sing and dance alone. He is a very naughty boy and likes to play in the mud all the time. Kindly support Aryan to become a hero ‘Mujhe bade hokar hero banna hai’.